Just when you thought these incredible Caravan Cubbies couldn’t get any more magnificent, they release more vintage shapes. And yes, they are amazing. 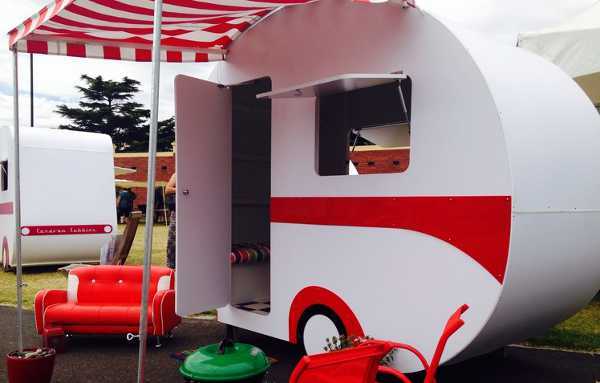 When we first wrote about Caravan Cubbies late last year, the response from the Babyology community was one of pure excitement. What an amazing idea, and brilliant execution of dream by a Melbourne dad. Kim Polglaze has now let us know that the original Caravan Cubbie design has proved so popular, he’s released another three vintage shapes. That includes a larger version of the classic Tear Drop. Aesthetically it’s pretty much the same as the classic, but with an internal roof height of 1635mm. It retails for $2295. I think the large Bubble Cubby is my favourite of the new styles. 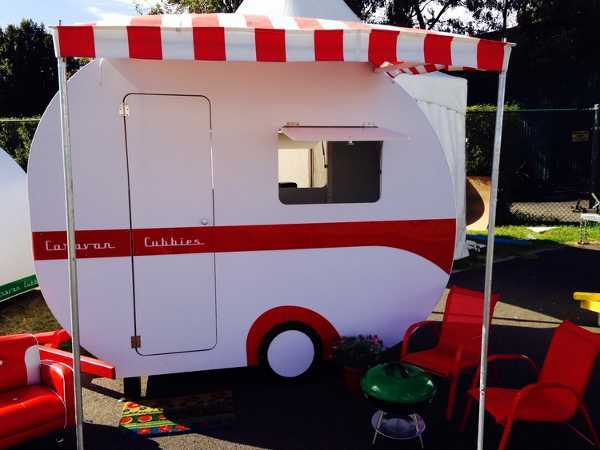 With its Australian 1950s caravan vibe, it has the classic black and white check floor, with a bench seat at both ends. It has a really great internal roof height of 1800mm. The Bubble Cubby costs $2495. While it doesn’t come with the annex, Caravan Cubbies is working on a range of accessories for the cubbies, so hopefully they will be available soon. 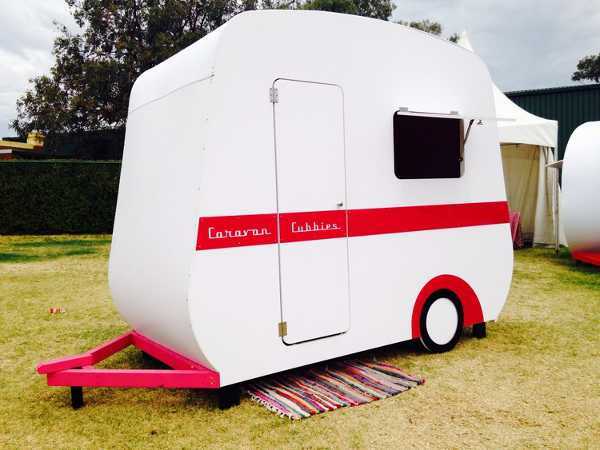 Finally, Caravan Cubbies has launched the English Vintage Cubby (pictured at the top of the post). Again this one has a great internal roof height, making it perfect for older or taller children. It costs $2495. 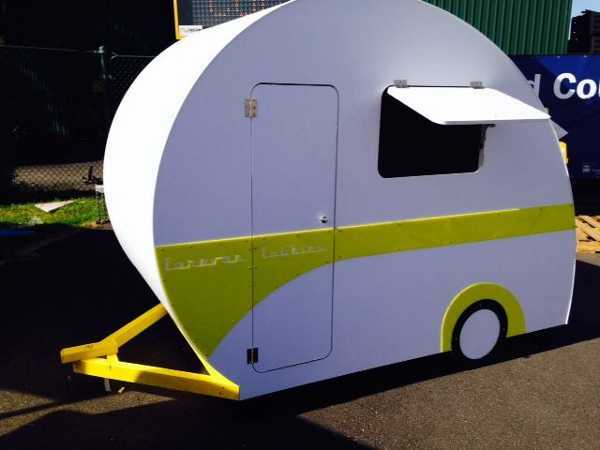 Contact Caravan Cubbies directly to discuss cubby options.